With 356 million 10-24 year-olds, India has the world’s largest youth population. No wonder, our team comprises of 39 efficient and skilled young engineers. Ample Opportunity for career advancement. Recognition and Rewards for excellence. A flat organization structure that is conducive to quick decision making. Mr. Ajit Karandikar (MTech) from Indian Institute of Technology (IIT) Mumbai has over 40 years of rich experience in various areas like Production and Quality control in Instrumentation industry. 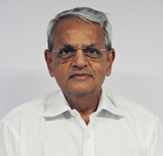 Mr. Karandikar, a first generation entrepreneur started Karandikar Laboratories in 1995 having activities in the field of Calibration of Electro-technical, Pressure and Temperature fields. His rich experience and in-depth knowledge has made him an expert in the field of Electrical products for use in Hazardous areas, Quality systems, Calibration of Electro technical, Pressure and Temperature parameters. 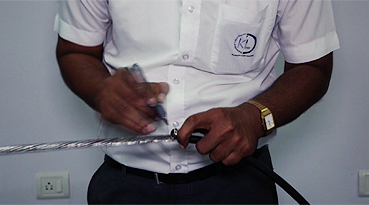 Mr. Karandikar, is trained by BASEEFA (UK), the leading certification body for all types of Hazardous area certifications and has acquired a high degree of expertise inboth, assessment & certification, of electrical products used in potentially explosive atmospheres. Training has always been his forte and he has conducted a number of training programs in Calibration techniques, Uncertainty calculations & Hazardous area training. 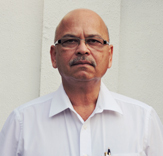 Mr. Ravi Paranjpe (BSc Tech) from University Department of Chemical Technology Mumbai, has more than 30 years' experience in the national and International industry. For the last 8 years he has been involved with Certification and Testing of Electrical products for use in Hazardous areas. Having been trained by BASEEFA (UK) one of the largest certification body for all types of Hazardous area certifications, he has acquired a high degree of expertise in assessment and certification of electrical products used in potentially explosive atmospheres. Mr. Paranjpe is actively involved with Inspections and Area Classifications of Electrical Installations in hazardous areas and has successfully completed many projects and Training courses for a number of clients.